All Connectors will automatically register for a 30 day trial using the same registration key as the add-in. Usage during the 30 day trial period is not limited in any way. 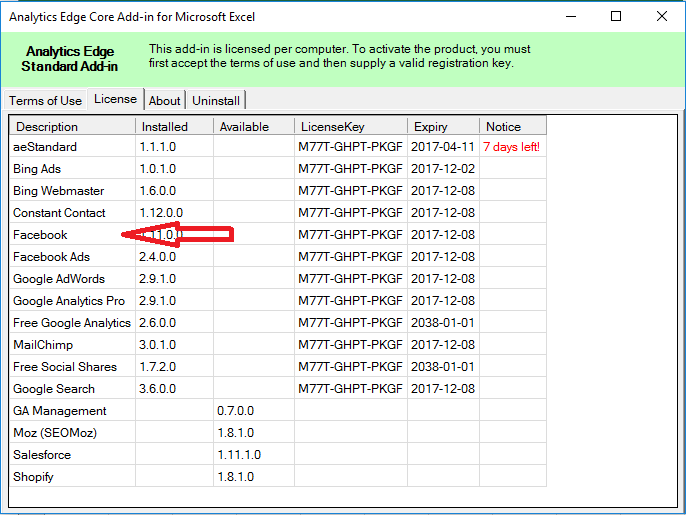 If you purchase an Add-in or Connector license, you will be sent a unique license key for each connector. Use the following procedure to enter the license key. 1. On the Analytics Edge ribbon, open the License wizard. Note that the image on the button may change depending on the status of your licenses. 2. Click the entry for the add-in or connector you purchased. 3. Enter the License Key in the box provided and click the Activate button. 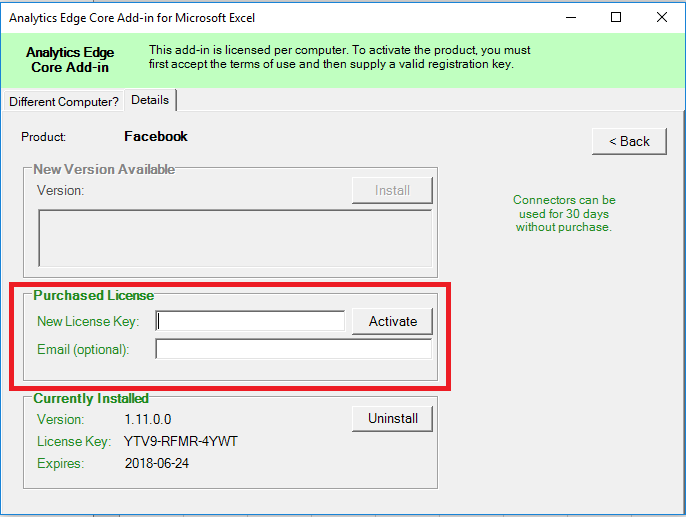 You should get a popup notification that the license was activated with a new expiry date. 4. Depending on the connector, you may need to configure login Accounts before you can make any queries. Check the connector menu for an Accounts wizard. Click the Help button in the wizard for more instructions.